Lataif-e-sitta (Persian: لطائف سته‎‎) or al-Laṭaʾif as-Sitta (Arabic: اللطائف الستة‎‎), meaning "The Six Subtleties", are psychospiritual "organs" or, sometimes, faculties of sensory and suprasensory perception in Sufi psychology, and are explained here according to the usage amongst certain Sufi groups (key terms in this article are taken from the Urdu, rather than the original Arabic). These six subtleties are thought to be parts of the self in a similar manner to the way glands and organs are part of the body. Drawing from the Qur'an, many Sufis distinguish Nafs, Qalb, Sirr, Ruh, Khafi, and Akhfa as the six laṭaʾif. Among Sufis spiritual development involves awakening centers of perception that lie dormant in every person. The help of a guide is considered necessary to help activate them in a certain order. Each center is associated with a particular color, a general area of the body, and often with a particular prophet. Activation of all these "centers" is part of the inner methodology of the Sufi way or "Work". Purification of the elementary passionate nature (tazkiyat an-nafs), cleansing the spiritual heart (tazkiyat al-qalb), becoming a receptacle of divine love (ishq), illumination of the spirit (tajjali ar-ruh), emptying egocentric drives (taqliyyat as-sirr) and remembering the divine attributes, often through repetition of the names of God, (dhikr) are a process by which the dervish is said to reach a certain type of "completion" in the opening of the last two faculties, khafi and akhfa. According to some, this latifa is located slightly below the navel, and is yellow, for others, it is between the eyebrows and is blue. The word nafs is usually translated as self or psyche. Its etymology is rooted in "breath" (similar to Biblical or Kabbalistic nefesh) and is common to virtually all archaic psychologies where the act of breathing was connected with life, animating otherwise lifeless object. Some Sufis consider under the term "Nafs" the entirety of psychological processes, encompassing whole mental, emotional and volitional life; however, the majority of Quranic-based Sufis are of the opinion that Nafs is a "lower", egotistical and passionate human nature which, along with Tab (literally, physical nature), comprises vegetative and animal aspects of human life. Ego may be assumed as an equivalent for Nafs in modern psychology. The central aim of the Sufi path is transformation of Nafs (technical term is tazkīyyat an-nafs or "purging of the soul") from its deplorable state of ego-centredness through various psycho-spiritual stages to the purity and submission to the will of God. 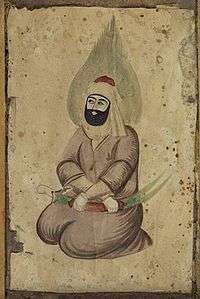 Although the majority of the Sufi orders have adopted convenient 7 maqāms (maqāms are permanent stages on the voyage towards spiritual transformation), and some still operate with 3 stages, the picture is clear: the Sufi's journey begins with an-nafs al-ʾammārah (commanding soul), an-nafs al-luwwāmah (self-accusing soul), and ends in an-nafs al-muṭmaʾinnah (satisfied soul) - although some Sufis's final stage is, in their technical vocabulary, an-nafs aṣ-ṣāfīyah wa-al-kāmilah (soul restful and perfected). In essence, this is almost identical to Christian paradigm of "vita purgativa" and various stages the spiritual aspirant traverses in the journey towards God. According to some , this latifa is located in the left of Chest and is yellow, for others it is red. In it man witnesses his deeds. By awakening it man also gets the knowledge of the realm of Jins. The word Qalb, stands for heart. In Sufi terminology, this spiritual heart (not to be confused with the blood pumping organ) is again variously described. For some, it is the seat of beatific vision. Others consider it the gate of Ishq or Divine love. Yet, for the majority, it is the battleground of two warring armies: those of Nafs and Ruh or spirit. Here, one again encounters terminological confusion: for the Sufis influenced by Neoplatonism, a "higher" part of Nafs is equated to the Aql or intellect (called Nafs-I-Natiqa) or "rational soul" and is the central active agent in spiritual battle: Ruh or spirit, notwithstanding its name, is rather passive in this stage. In short, cleansing of the Qalb or heart is a necessary spiritual discipline for travellers on the Sufi path. The term for this process is Tazkiah-I-Qalb and the aim is the erasure of everything that stands in the way of purifying God's love or Ishq. Often people take their heart's word (inner feeling) as truthful. If the hearts were indeed truthful, then why are not all the people of the heart united? Qalb of the common folk is in a sleeping or unconscious state, and does not possess any awareness or correct understanding. This heart can err in judgement due to the dominance of the Self and Khannas (the Whisperer), or due to the person's own simple-mindedness. Placing trust in a sleeping (or unconscious) heart is foolish. When the Name Allah does vibrate in the heart, an awareness of Right and Wrong, and understanding follows. It is then called Qalb-e Salim (the sound Heart). Then the prominence of the meditation by Qalb changes its direction towards God; it is called Qalb-e Minib (the repentant Heart). This heart can prevent a person from mischief, but it can not make a right judgement. When the theophanies (Tajalliyat) of God begin to fall on the Heart, it is called Qalb-eshahid(the witnessing Heart). A leading Indian artist, Geeta Vadhera, has titled her 37th exhibition of paintings as Qalb Qudrat - At the Heart of Nature. According to some, this latifa is located in the right side of the chest and is red, for others it is green. 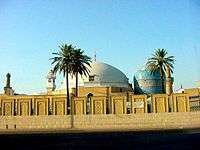 After its activation the human gets acquainted with Alam-e-Aaraf (the place where man resides after death). This is on the right side of the chest. This is awakened and illuminated by the meditation and one-pointed concentration on it. Once it becomes illuminated, a vibration similar to the heartbeat is felt on the right side of the chest. Then the Name of God, Ya Allah is matched with the vibrating pulse. The meditation of the soul is done in this way. This is an advancement in rank and status and is better than the Qalb. It is able to travel to the realm of the souls (the station of the Archangel Gabriel). Anger and rage are attached to it that burn and turn into majesty. Sirr is located in the solar plexus and is associated with the color white. It records the orders of Allah for the individual in similitude to that which is originally present in Loh-e-mehfooz (Preserved Scripturum). After its activation, human being gets acquainted with Aalam-e-Misal (The Allegorical realm - Reflection of knowledge of the preserved Scripturum.) This center is associated with consciousness. This is also awakened and illuminated by the meditation and one-pointed concentration on it with the Name of God, Ya Hayy, Ya Qayyum. The dream state or by spiritual separation from the physical body “transcendental meditation” it can journey to the realm of the secrets. Sirr, literally means "the secret". Emptying of the Sirr (Taqliyya-I-Sirr) is basically focusing on God's names and attributes in perpetual remembrance or Dhikr, hence diverting one's attention from the mundane aspects of human life and fixing it on the spiritual realm. The "emptying" signifies negation and obliteration of ego-centred human propensities. According to some, it is located in the middle of the forehead (between the eyes or third eye position) and is black, to others blue. It's the equivalent of Kitab-e-Marqoom (the written book). According to others this is to the right of the centre of the chest. It too is taught the Name of God Ya Wahid by meditation. It is green in colour and it can reach the realm of unification. The term Khafi means mysterious, arcane or Latent Subtlety. It represents intuition. The term Akhfa or ikhfa means most arcane, deeply mysterious, or obscure, subtlety. Its location is deep inside the brain or on center-top of the head. The color of this center, according to some, is green, to others, violet. It's the Nuqta-e-wahida (point of unity) in every human where the Tajalliat (beatific visions) of Allah are directly revealed. It contains information about the hidden knowledge of the universe. By entering into this point, the human being enters the system of the universe and laws governing the universe. This center is associated with deep perception. According to some this is situated at the centre of the chest. It is awakened by meditating on the Name of God, Ya Ahad. It is purple in colour and it too, is connected to that veil in the realm of unification behind which is the throne of God. The last center or subtlety is "accessible only to those who have developed the others, and belongs to the real sage." (see "The Sufis" by Idries Shah). Qalb and Nafs form the "Rooh-e-haivani" (Animal Soul). This part of the soul has the record of every activity of life. It is also termed as Joviya (Confluence). Sirr and Rooh form "Rooh-e-Insani (Human soul) or Ayan. This part of the soul is inscribed with commands characterizing the life. It is also termed as Ayan. When a human being gets acquainted with it, he can witness the record and scheme of "all that exists", written on loh-e-mahfooz. Akhfa and khafa form "Rooh-e-azam" (the great soul), also called sabita. It is a bright ring of light in which all the information pertaining to the unseen and seen cosmos is inscribed. "Great Soul", "Human Soul", and "Animal Soul" are actually levels of functioning of the same soul and are not three different souls. These three components are like three rings of light infused in one another and are collectively called the soul, the indivisible entity, the Lord's edict, or simply the man. Man gets acquainted with them one by one by Muraqaba ( Sufi Meditation), Dhikr (Remembrance of God) and purification of one's psyche/life from negative thinking patterns (fear, depression), negative emotions (hate, contempt, anger, lust) and negative practices (hurting others psychologically or physically). Loving God and loving/helping every human being irrespective of his race, religion, or nationality, and without consideration for any possible reward, is the key to ascension according to Sufis. The Attributes of God that have been transferred to the existents and have become parts of the mechanism of the universe are collectively known as the Incumbent Knowledge (Ilm-e-wajib). Knowledge of the Incumbent means knowledge that has been transferred to the existents, that is, it refers to those Attributes of God with which existents enjoy affinity and correlation. The Knowledge of the Incumbent is also known as the Knowledge of the Pen (Ilm-e-Qalum). First Descent is that state when God exhibited the program present in His Mind as He Willed. The creative formulae of the cosmos are the secrets of the First Descent. Why did God opt to create the universe and what is the Will of God, which He intends to accomplish? Reflection of all these things is found in the Great Soul; The Firmly Affixed Inscription. One side of Great Soul is the Obscure Subtlety (akhfa) and the other side is the Latent Subtlety (khafi) Great Soul is the storehouse of eleven thousand beatific visions of God. The person who attains communion with these two subtleties can observe these visions. These two subtleties of akhfa and khafi are found in every human being irrespective of who he is, what he is, or his station in life. ↑ Shah, Idries (1999). The Sufis. London: Octagon Press Ltd. p. 379ff. ISBN 978-0-86304-074-0. Lauh o Qalam Khwaja Shamsuddin Azeemi's lectures on Qalander Baba Auliya's book Loh-o-Qalam.